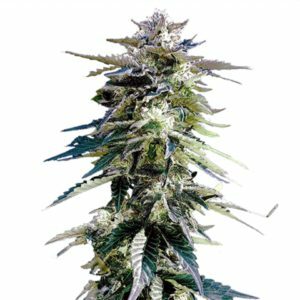 Purple Haze feminized seeds are a 70% Sativa dominant strain, known for it's dense, colorful buds and soaring, energizing high. A highly prized strain for both color and effects, producing an average of 550 grams of the highest quality buds per square meter. Highly adaptable and perfect for both indoor and outdoor growers with an average flowering time of 65 days. A highly recommended medical and recreational strain with 17% -19% THC and a low CBD content. Find out more about Purple Haze Seeds. Strong, powerful and very uplifting, Purple Haze can be a little too much for light smokers, who should enjoy it in moderation. The psychedelic high will create a happy, euphoric feeling that's long-lasting and quite intense. A smooth smoke with a sweet flavour and aroma. Purple Haze seeds produce strong, tall plants with long running buds and cola's. An average eight week flowering cycle will produce a good yield, with many of the buds displaying deep red, purple and lavender hues. A good strain for growing indoors. Read the complete Purple Haze Medical Marijuana Seeds Review. Buy Purple Haze Seeds today and receive free worldwide shipping guaranteed.